Sorry I’m late with this weeks challenge and skipped last weeks challenge! I passed last week because I couldn’t think up a good idea for the ‘nerdy’ challenge but this week was just down to my laziness in posting. Better late than never though right? 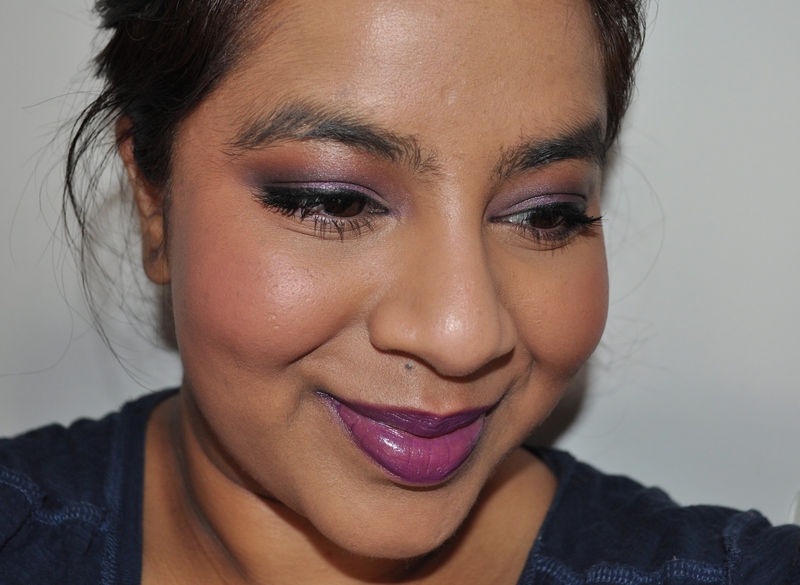 When trying to decide what to use, I just decided to go through my collection and pull out some of my favourite purple toned products. 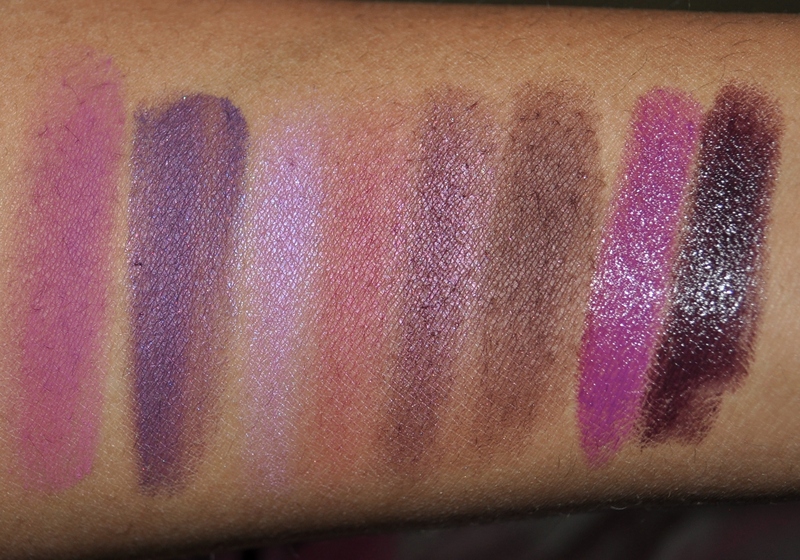 I swatched them below and, as you can see, they run the gamut of purple from warm to cool, dark to light. 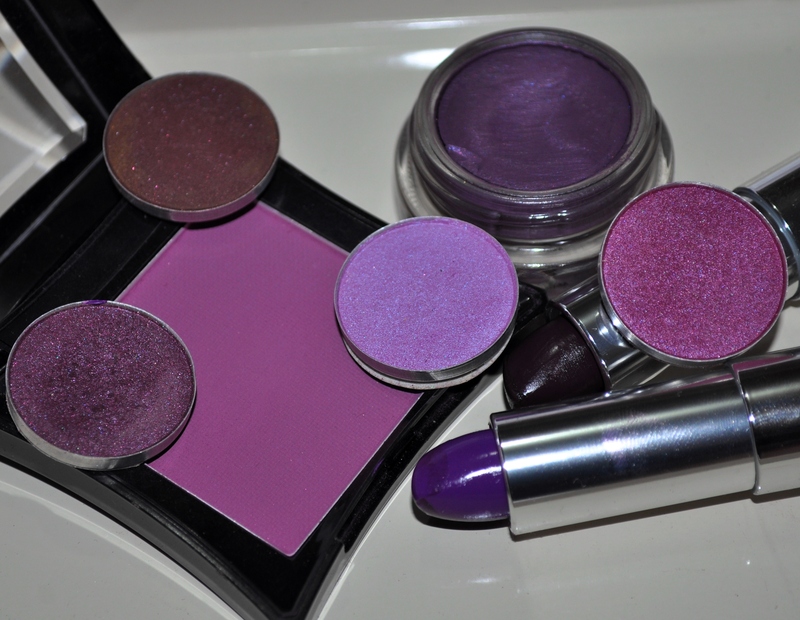 From left to right: Illamasqua Powder blusher in Sin, MAC Paint Pot in Half-Wild, MAC eyeshadows in Stars ‘n’ Rockets, Plum Dressing, Nocturnelle and Sketch, Maybelline Color Sensational lipsticks in Lavender Voltage and Midnight Plum. 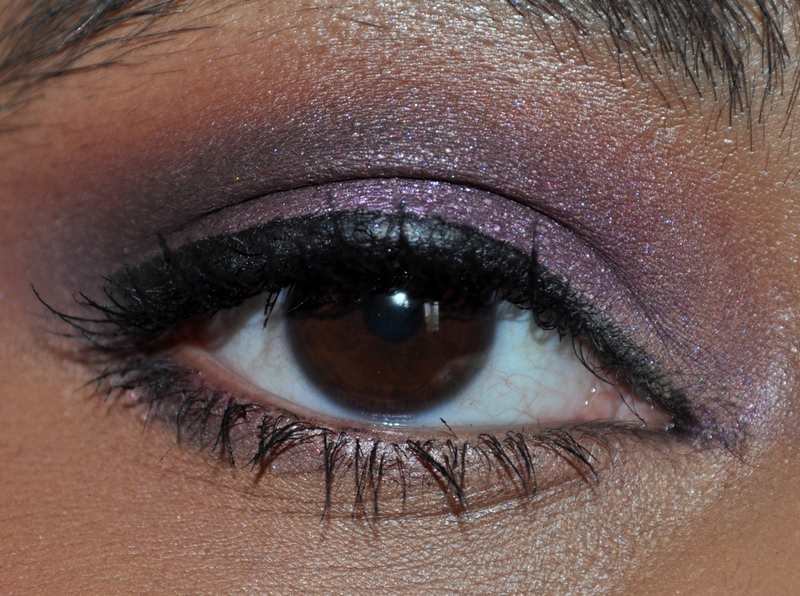 To get the eye look below, I used Half Wild as a base and pressed Nocturnelle on top of it with Plum Dressing. 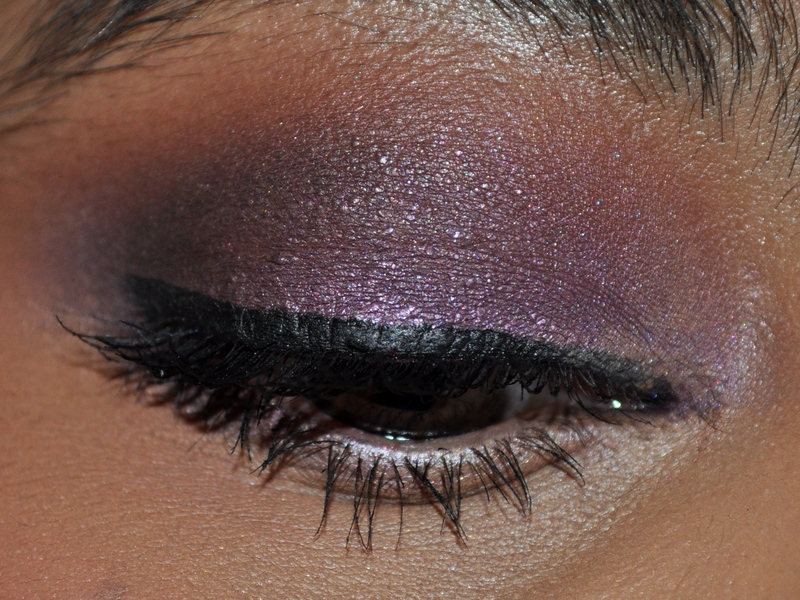 I used Stars ‘n’ Rockets on the inner corner and a mixture of Nocturnelle and MAC Carbon in the crease. 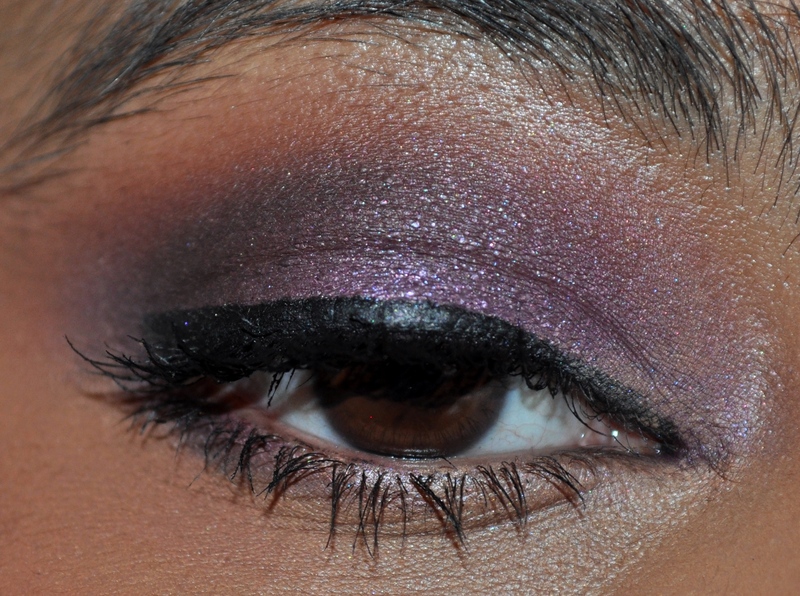 I blended out the crease with Sketch, the perfect blending shade when using purples. 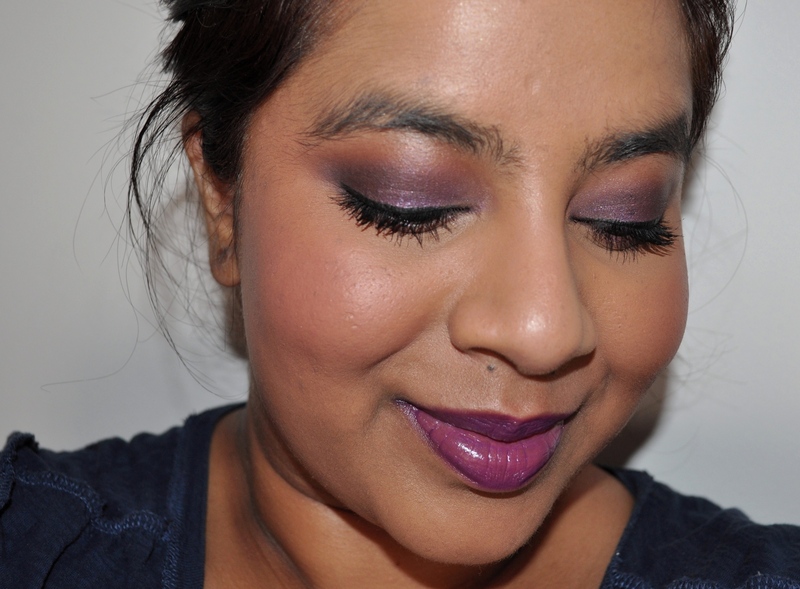 The only word of warning I’ll give you with the purples is that if you even have a hint of dark shadows, conceal that stuff stat unless you want to draw attention to your eyes for all the wrong reasons! I finished up the look by pairing the eyes with Sin on the cheeks and a combination of Lavender Voltage and Midnight Plum on the lips. 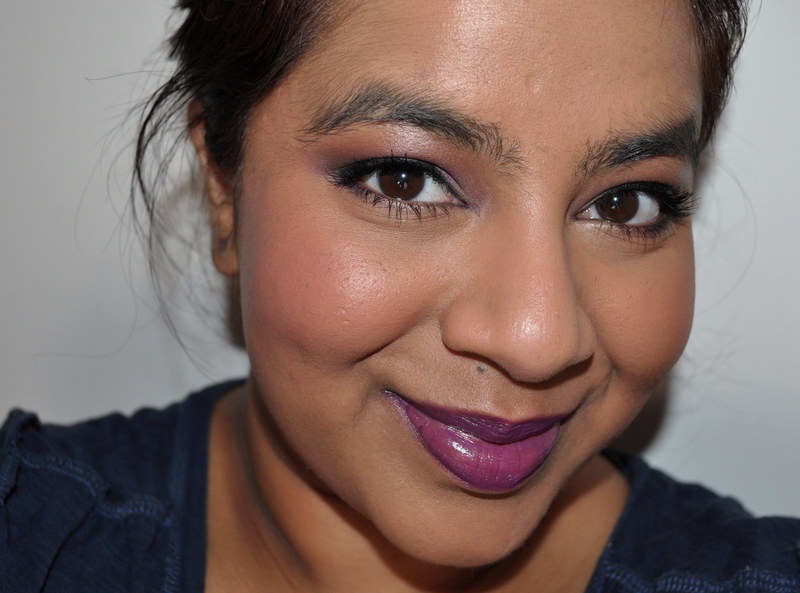 I’m not a big fan of the matchy-matchy look on me so I’d usually skip the pruple lipstick and go for a neutral shade. I don’t mind the trend so much when it’s done with more neutral shades as per the ever chic Lisa Eldridge. How do you feel about the matchy-matchy trend of makeup?